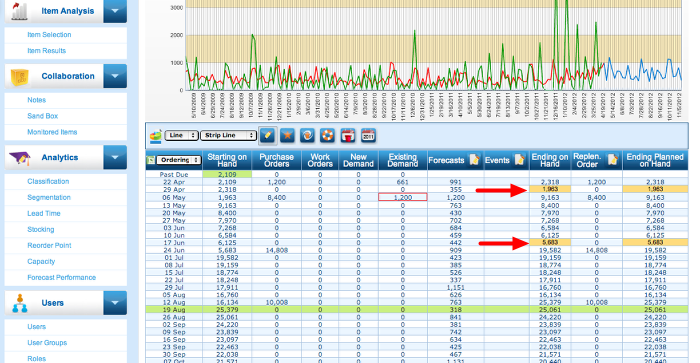 When a user would like to identify items that have breached safety stock during the lead time, yet there is enough on order to cover demand during the lead time, they will select the status "Review" under the line status drop down in the suggested orders interface. 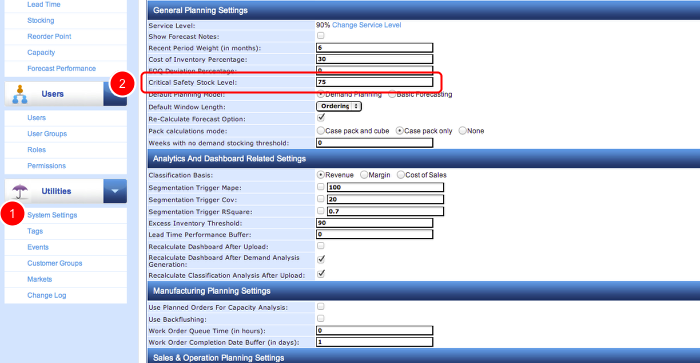 This is based on a setting "Critical Safety Stock Level" under system settings. The setting is a percentage of how much safety stock must be available before a warning is issued. Entering 75, for example, means that 25% of the safety stock may be breached before a "Review" designation is applied. Decreasing the number allows more safety stock to be breached prior to the "Review" designation to be applied. In the image above, there are two periods where the on hand quantity has gone below the safety stock level. 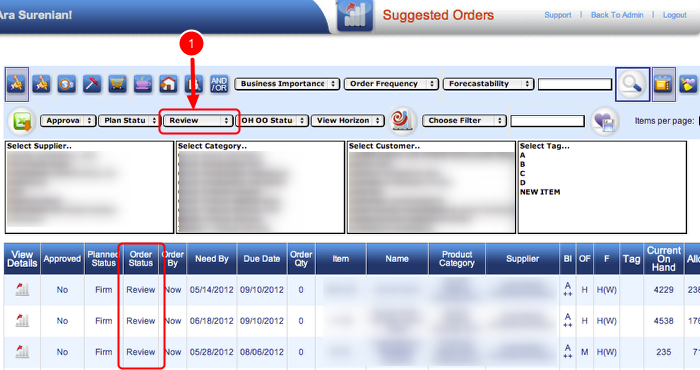 The review status is applied because the levels are below the threshold setting in the system settings.